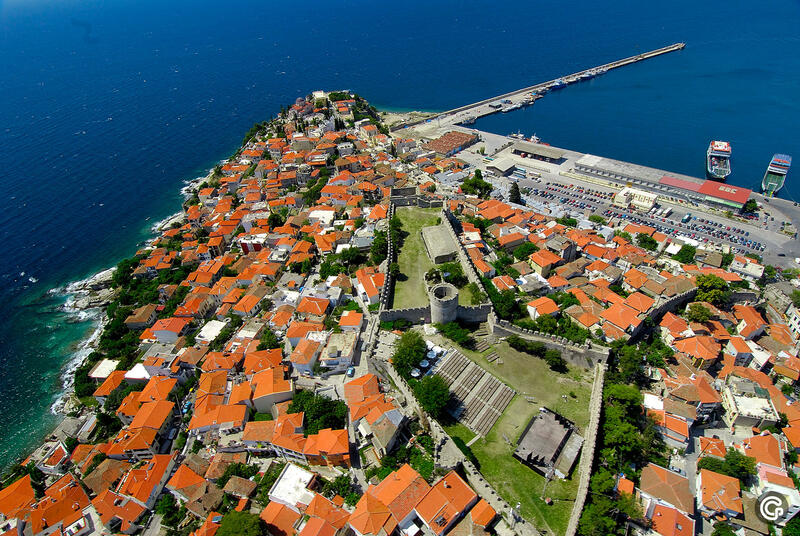 The peak of the peninsula of Panagia is dominated by the Acropolis of Kavala, the largest part of which was built in the first quarter of the 15th century AD. 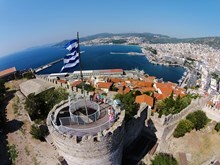 It succeeded the Byzantine Acropolis of Christoupolis (an older name for Kavala), which had been destroyed in 1391, the ruins of which were incorporated into its construction. 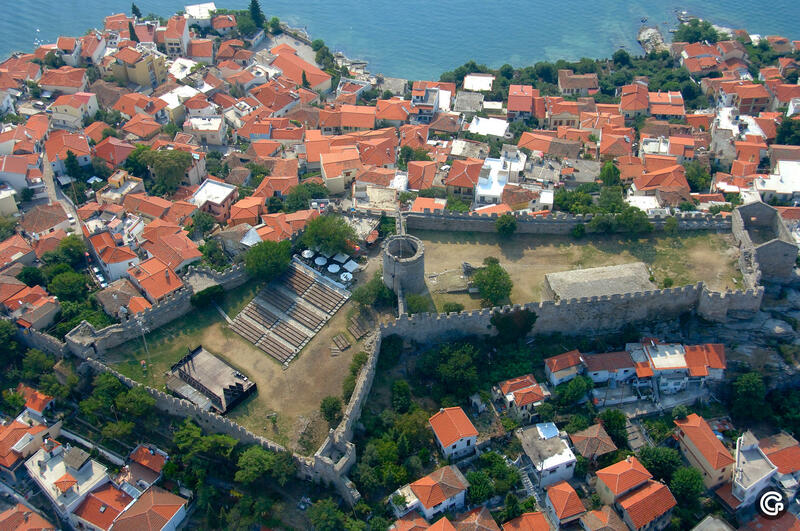 The purpose of the fortress was to control and protect the critical route of the Via Egnatia. The fortress was built on a position with excellent natural defences and in a period when wars were fought with weapons of “cold steel” and not with missiles weapons of mass destruction. The Acropolis was used for the last time during the Second World War by the occupying forces. The successive repairs and intervention to its fortifications, from the Byzantines to the Venetians and the Ottomans, can be seen on this imposing building. The entire acropolis has been built using unworked local granite blocks, mixed in with pieces of brick and marble. Entering through its central entrance, we can see that it is divided into an inner and an outer precinct by a transverse wall. The inner precinct was the most important part of the acropolis as it contained all the essential areas for its defence. 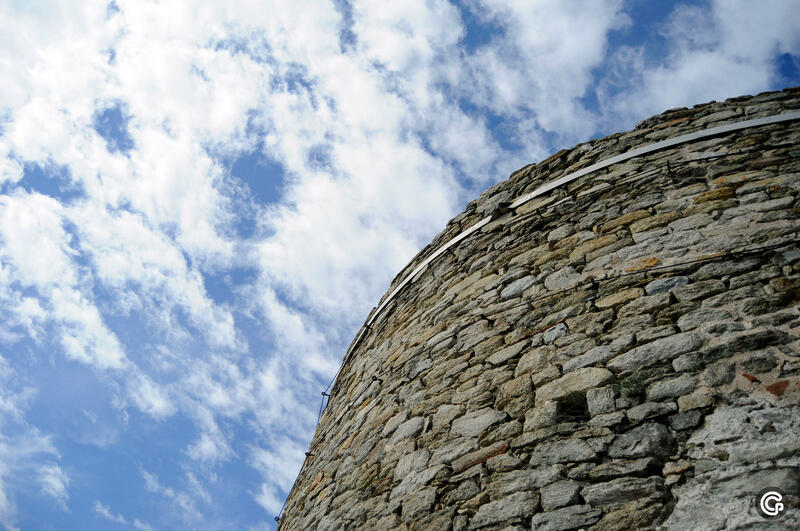 The central circular tower, which was the last line of defence. 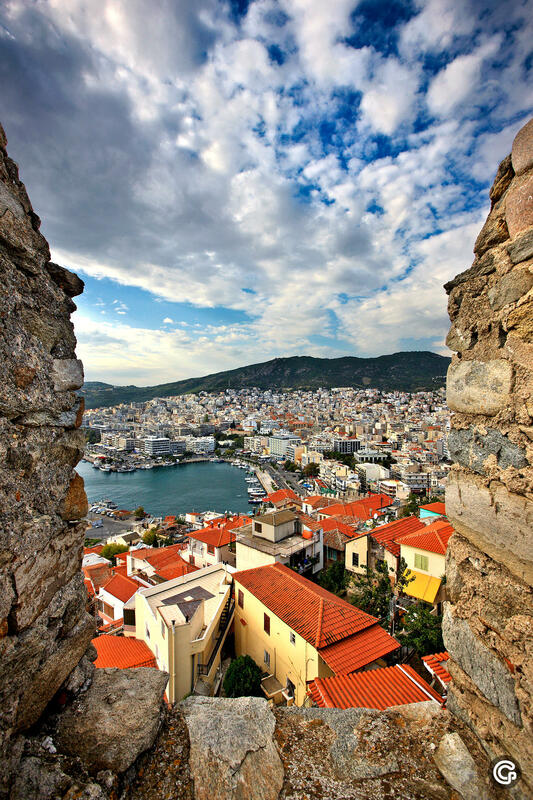 From the upper level, a wonderful view over the whole of the town of Kavala can be enjoyed. The gunpowder and food store, which was later converted into a jail. The garrison, a space suitable for the quarters of the officers or guards. 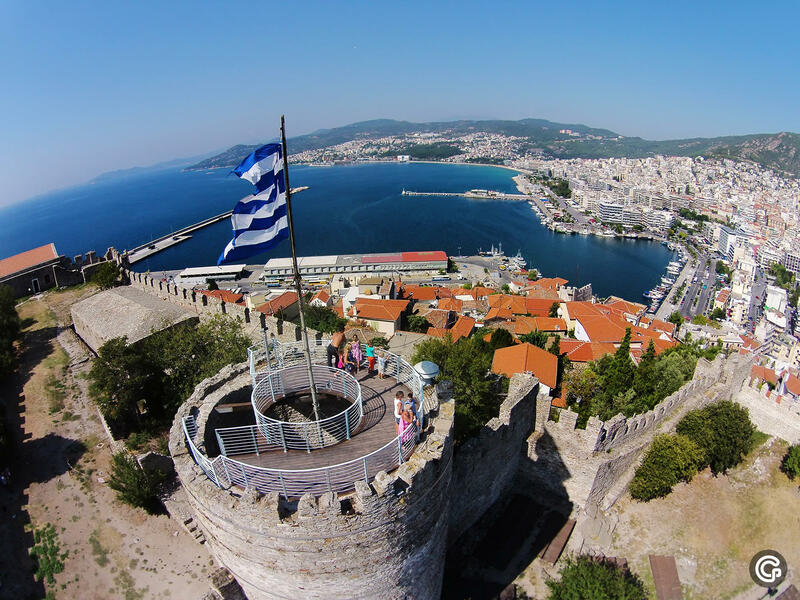 Two square and one polygonal tower can be seen in the walls of the outer precinct of the acropolis, while in its inner precinct there is an open-air theatre for cultural events and a cafe for visitors. By foot: proposed route via Kountourioti, Theodorou Poulidou, Mohammed Ali, Anthemiou and Phidiou Streets. By mini train: starting point in front of the Ethniki Bank. Timetable for Monday to Saturday: 08:00, 09:00, 10:00, 11:00, 12:00, 13:00, 14:00 (for the latest information, confirm the hours at the Visitor Information Centre near to the train starting point).